All students- including those working towards their membership- should turn in the ITS Points Sheet quarterly to the boxes in room 319. Students must fill out the whole sheet completely and correctly for their points to be considered. See below for the 2018- 2019 school year dates. It is recommended for students to keep track of their own point totals with a spread sheet or you can use the Thespian Point Log. Students who have concern about their point total must submit this form along with evidence and a written appeal within two weeks of publication of points. Please note point sheets are due by the end of the school day. Students can drop the forms off in the collection box in room 319. Please contact troupe984.questions@gmail.com with any questions or concerns. 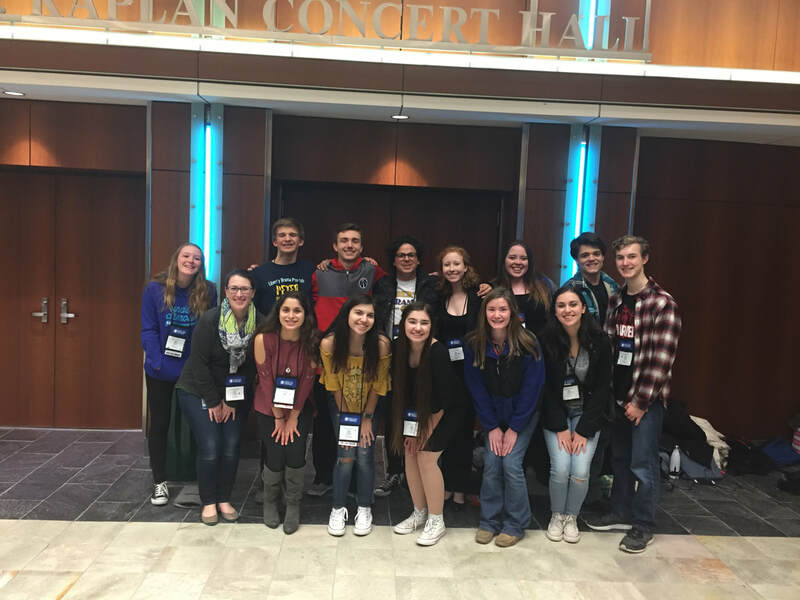 What is the International Thespian Society? This is a quick fact sheet about the Liberty High School's Troupe #984. A resource for parents who would like to know how being a member of the International Thespian Society benefits your student. The constitution is the overruling document of our troupe - re-adopted in SEPTEMBER 2017, it provides insight into the induction process and points system. It is recommended for all students - those currently in the troupe and those seeking membership - to read the constitution in full. Our troupe abides by all Educational Theatre Association rules and regulations.